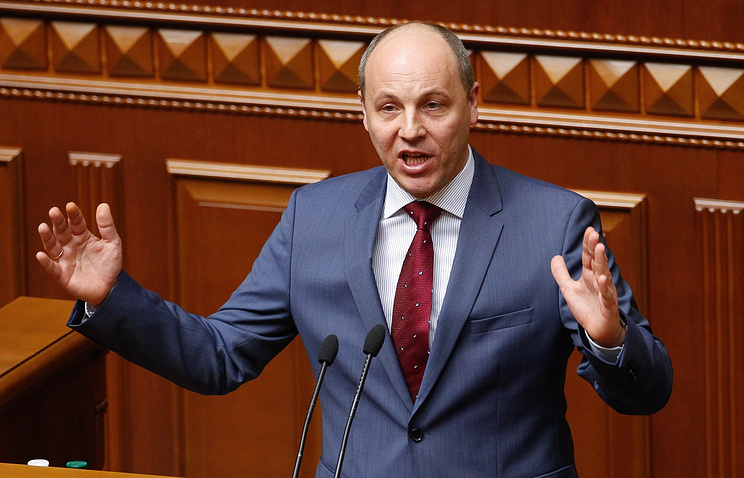 The lawmaker was outraged by Parubiy’s remarks who said on TV "it was necessary to delve into and introduce direct democracy to Ukraine, with Adolf Hitler being its torchbearer"
KIEV, September 5. /TASS/. 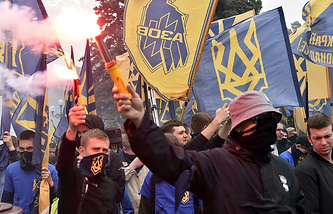 Member of Ukraine’s parliament, the Verkhovna Rada, leader of the For Life political party, Vadim Rabinovich, is filing a lawsuit against parliament speaker Andrei Parubiy for "Nazi propaganda." The lawmaker was outraged by Parubiy’s remarks who said in a talk show aired by a Ukrainian TV channel "it is necessary to delve into and introduce direct democracy to Ukraine, with Adolf Hitler being its torchbearer." "We’re not going to follow the Nazis’ path. I call on Europe, and Germany in particular, to evaluate the Ukrainian speaker’s actions, and I believe that he must step down," Rabinovich stressed. "Today, I am filing a lawsuit against Parubiy for Nazi propaganda, which is banned in our country." In his appearance on the Freedom of Speech evening program broadcast by the ICTV channel, Parubiy described Adolf Hitler as a true proponent of democracy claiming that the Nazi dictator "practiced direct democracy in the 1930s." "We need to remember that," the speaker asserted.